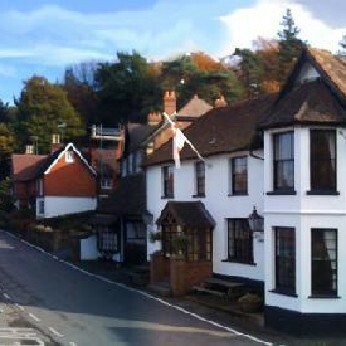 The Plough Inn, Coldharbour is a 17th Century coaching house set deep in the heart of the scenic Surrey Hills. It offers delicious home-cooked food, a selection of lip-smacking real ales including three brewed on-site and comfortable 4 star bed and breakfast accommodation. The Plough is an independent ‘Free House’ and has been owned by Rick and Anna Abrehart for over 25 years, with Anna creating good honest homemade food in the kitchen whilst Rick brews the ales in the pub’s own microbrewery – Leith Hill Brewery. Just 4 miles south of Dorking, you’ll find the Plough is ideally located for exploring Leith Hill and the surrounding countryside with thousands of acres of deep forest and lush heathland right on its doorstep. Local attractions include Leith Hill Tower, Denbies Wine Estate and Bockett’s Farm. Popular activities in the area include mountain biking, horse riding and simply walking amongst the natural beauty – including seasonal wonders such as the Bluebell Woods and the Rhodedendron Wood. All this is just a 28 mile drive from Central London and 13 miles from London Gatwick Airport.